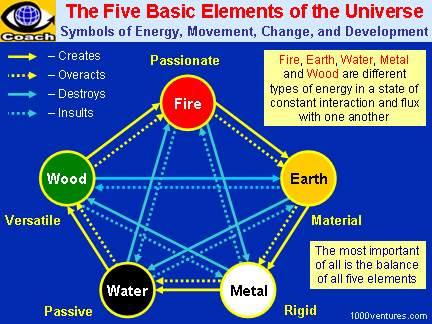 Fire, Earth, Water, Metal, and Wood. These elements are understood as different types of energy in a state of constant interaction and flux with one another. 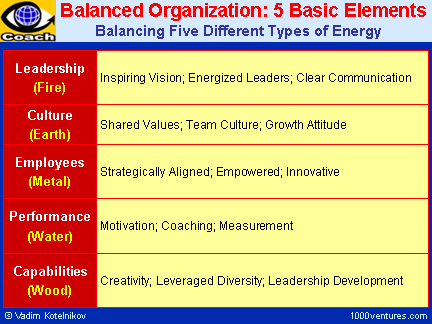 The most important of all is the balance of all five elements.